Finally got around to posting some pics. 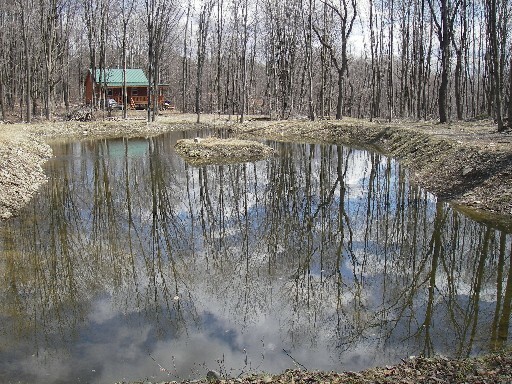 Here's one of my pond project near completion after the spring thaw. And one up close of the cabin, last November, during the first snow. Note that the wrap around deck makes it look a lot bigger than it really is. wow !!! 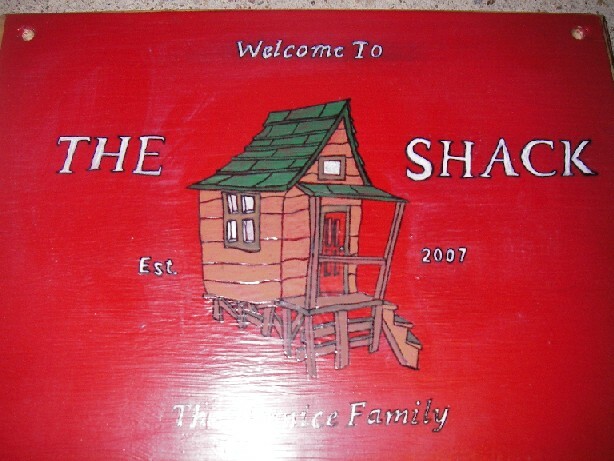 thats a nice looking shack . pretty fancy if ya ask me . and i like the deck . Is there any fish in that pond? No fish yet. Not long after that picture was taken, I had to repair a MAJOR leak in the dam after all the water leaked out. The creek that feeds it is seasonal, so no water till this Fall. My property is high elevation causing the temps to be at least 10 degrees F cooler than the surrounding area, so I'm hoping the water should stay cool enough in the Summer to allow a few rainbow trout to survive. The pond is only 4 feet deep with a couple of deep spots at around 8 feet, so we'll see. At any rate, that half acre pond has been a labor of love to say the least. Hi Vince P - What type of siding is on your cabin? It looks like it could be rough sawn strips taken directly from trees? Is that right? How was it to install and finish? Are you happy with it so far? I really like the look of it and am considering using something like that on my cabin. 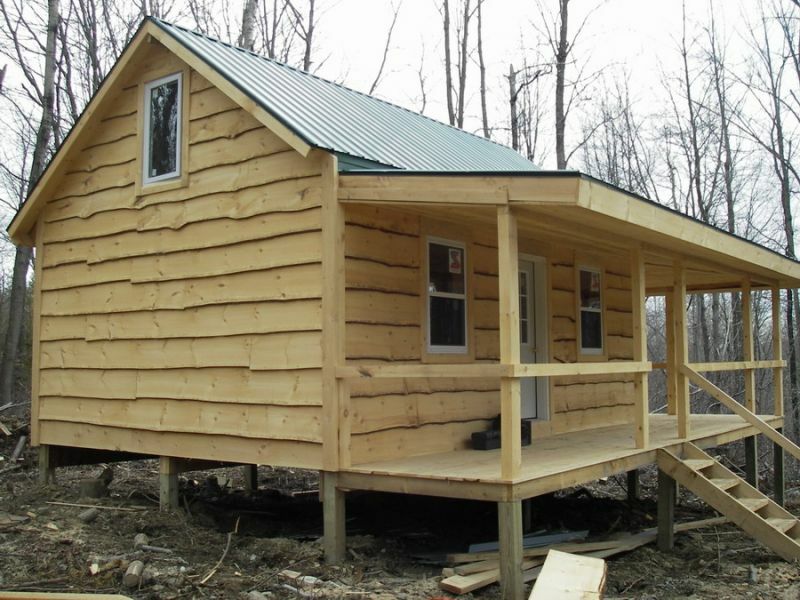 What type of siding is on your cabin? 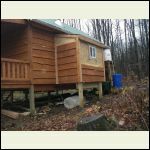 That siding is what's known as Adirondack siding and is essentially what you said: slabs of rough cut, directly from Fir or Spruce trees with the bark still left on. I looks like wavy boards and I think it adds just enough rusticity. I had planned to originally do log siding, but I'm happy with this as it is somewhat unique, but still looks great. Here's a pic while the building was still going on and before staining. Thanks Vince P. I really like the look of it. 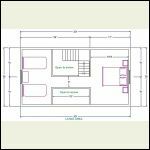 How is your cabin size working out for you? At this point I'm planning a 16x30. It will mostly be used by my family (wife, son, and me) and I'll occasionally host 3-4 guys for fishing trips. Are you happy with the 16' width? Good luck with the pond and the trout. 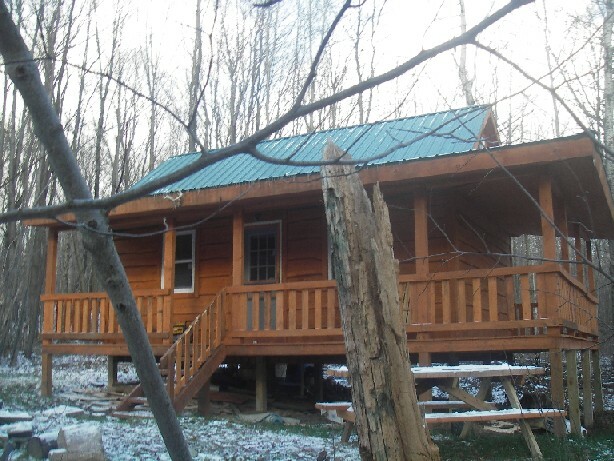 My cabin is in the Pharsalia Wildlife Mangement area of upstate NY. Funny you should mention that link. 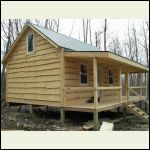 That is the land company I bought my parcel from and the contractor (whom I highly recommend), that they use to build their cabins, did the framing and rough shell on mine. 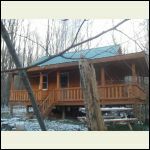 The cabin, not including the deck is 24x16 and works out just right for me, my wife, 3 daughters and occassional guest or two. 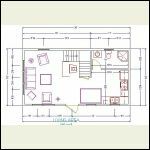 A tremendous amount of planning went into making the most efficient space possible. I divided the space into three rooms the main living area (minus the 6" thick walls), is 14x15 and includes a small kitchen area; the bedroom for me and the wife is 9x9 and fits a queen size bed and a couple corner unit dressers I built myself; finally, I built a 9x6 bunk room with 4 built in bunks for the kids. 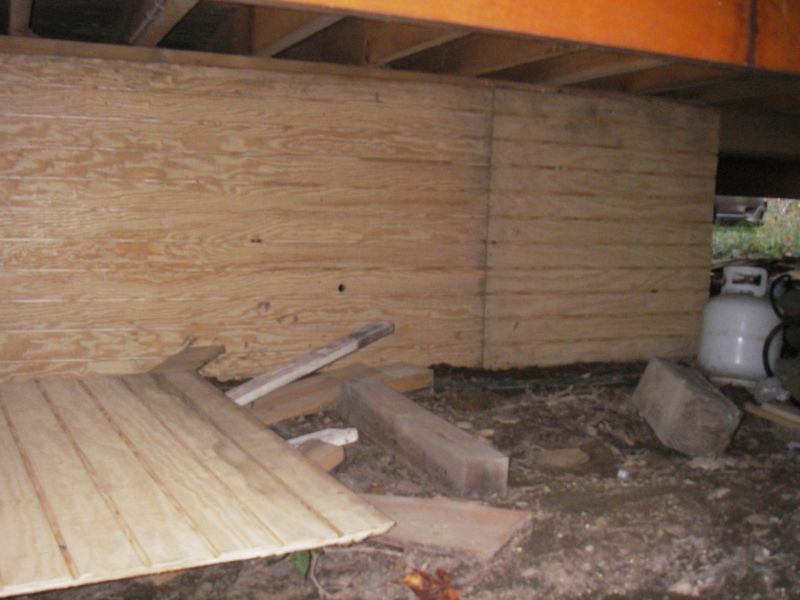 For overflow and storage, we have a 14' loft with a removable ship's ladder. I am currently finishing off this area with built-in storage and a folding couch bed. 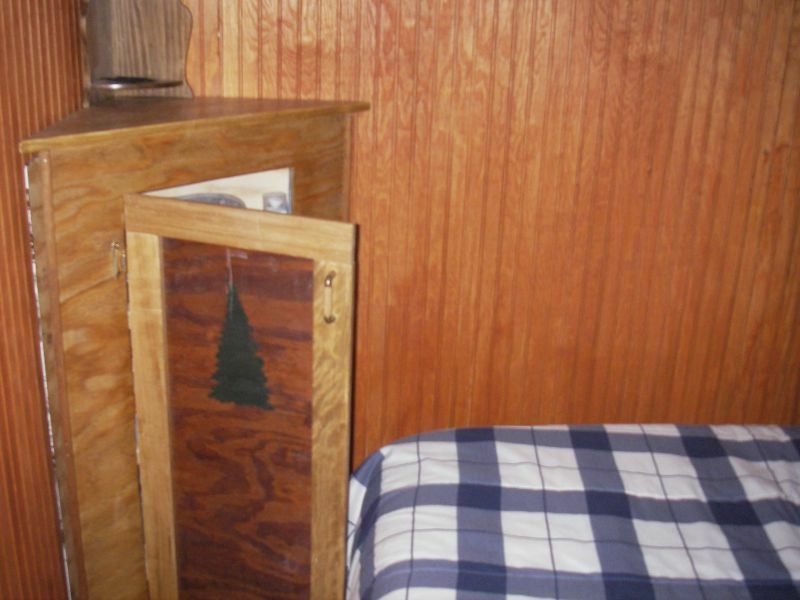 Hey Vince, I thought your cabin looked just like theirs. Really nice. I see you're down toward Whitney Point. I keep track of their site all the time looking at their parcels. I already own one about 2 hours north in the Pulaski region (from another company), but it's still fun to look. Thanks for taking the time to reply with this info. I'd love to see some pics of the cabin interior if you have any. I know what you meant about planning and trying to get the best use out of the space. I've been working on plans for a 16x30 and here's what I have so far. The big square thing just inside the door on the first floor is a placeholder for a booth-type dining set I picked up a the local Habitat for Humanity. I welcome any comments/suggestions folks have on these. I'd love to see some pics of the cabin interior if you have any. 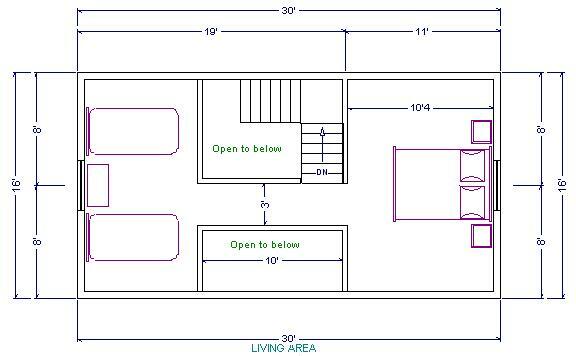 Here's the floor plan I was using, which doesn't show the deck. Also, here is a panaoramic view of the 14x15 main room. I stitched this together from 3 pictures. Note that this is a wrap around panoramic image that makes thing look appear larger than reality. The unfinished door next to the stovepipe leads to a bathroom addition currently in progress. 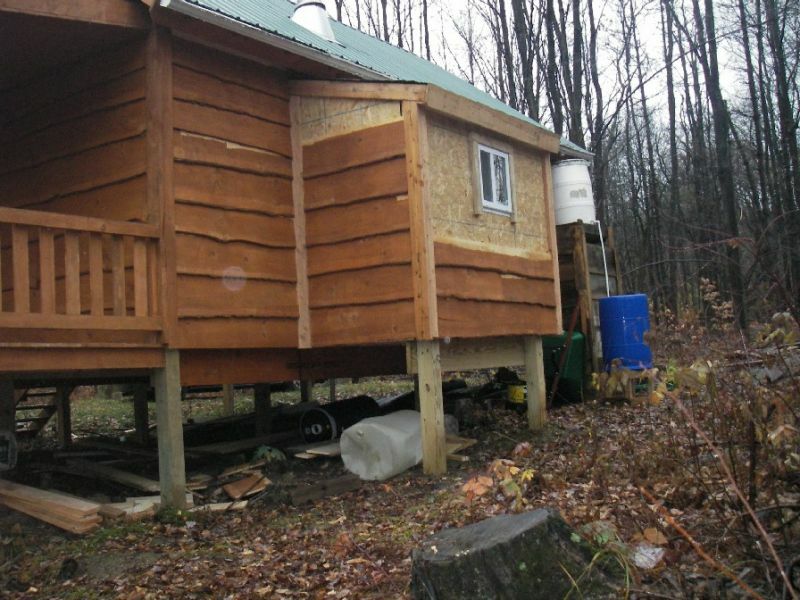 I enjoy the outhouse, but in mid-winter it makes big difference...see photos below. Looks great Vince. Love the decor. With three daughters I congratulate you for getting this far without an inside bathroom. I'm sure that is a welcome addition. Vince - can you tell me about your footings. Looks like treated posts in the ground, but are they 4x4, how deep and what is the spacing? Did you use a cement footing at the bottom. Beautiful place. I like the siding and might copy you. Thanks. Vince - can you tell me about your footings. Looks like treated posts in the ground, but are they 4x4, how deep and what is the spacing? Did you use a cement footing at the bottom. 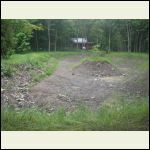 The footings are 6x6 pressure treated, three or more feet into the ground with no cement. 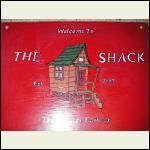 As for the spacing, under the cabin: the posts are three rows, eight feet apart with the posts in the rows 12 feet apart. 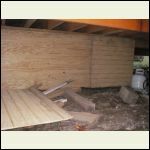 The deck posts add another course of posts to the three rows, plus another row, for a total of 16 posts. If my description is confusing, just say so, I can draw you a diagram. The posts from the deck to the roof are 6x4 and the high side of the cabin is 5' off the ground... which is why they might look thinner in the picture. 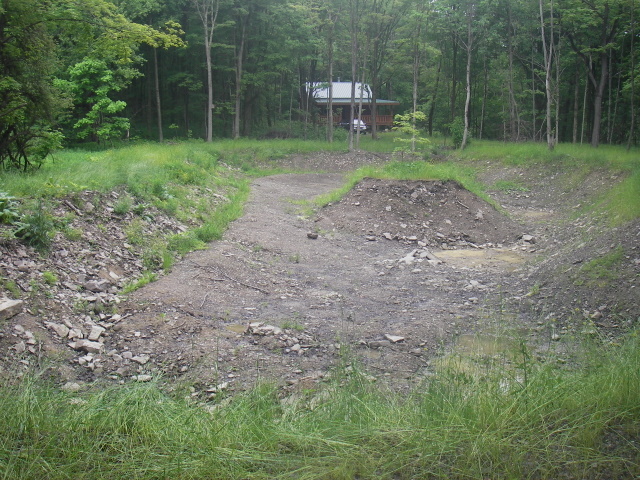 I'm planning to build a storage area under there this summer. I just took another look at your plans. 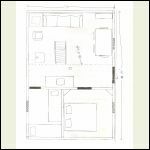 I originally had a similar plan: a double loft with a catwalk in between, but decided on a partial loft because I liked the open ceiling too much (not to mention I have a huge antique caribou rack I wanted to hang there). I'll admit, it's a few degrees warmer up there in winter, but unless your roof has a really high peak, headroom will be tight. This is exactly what we are looking for, Could you email a attachment of this layout? 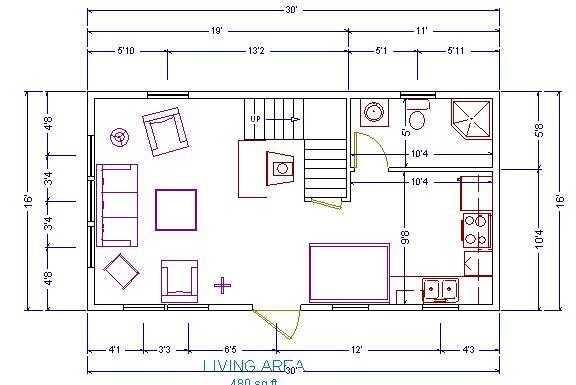 floor plans, but what you have shown is what I had in mind. Would you consider emailing your plans? Not sure if you meant me or Walnut. The double loft and catwalk is sort of a compromise between wanting a cathedral type ceiling and needing space for a couple more beds. I figure we can change our minds once we start building and see what it actually looks/feels like. I'm planning on using 10 foot studs for the walls and will have a 12/12 pitch roof so hopefully that will improve the headroom somewhat - it's still going to be tight, but it's a cabin right? I bet the caribou rack looks great in the cabin - thought I saw part of a moose rack in the panorama picture you posted - cool. Here's some of the latest photos of my project. The pond is holding water at last. After 2.5 years, I think it's time to just relax when I visit the cabin rather than work. Love viewing these pictures and what you have all done. 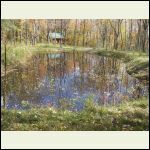 I've been enjoying a little old 12x12 in southern VT that i feel privileged to own but the time has come to expand it this summer ... finally. It's getting an 16 x 20 upgrade and all of your thoughts and pictures are a huge help! Thanks and I know how much you enjoy! In small bedrooms my wife and I discovered a four drawer file cabnets work real well for either side of the bed and will hold more cloths then most dressers. You can paint them in a number of ways. You can get them used for little or nothing. Great project! 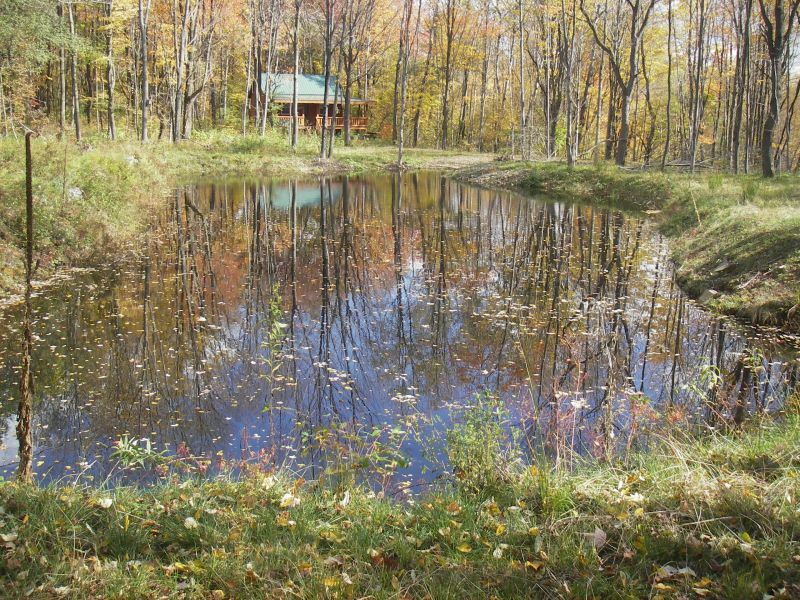 Love the cabin and the pond. 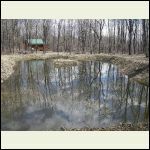 If you ever do additional pond work, make sure to stockpile the bottom layers of muck as over time that becomes your waterproofing layer. I dug a shallow pond that was having alegae issues about 18' deeper than it used to be with a D-9 cat, (it was a BIG pond) and we resealed things with the muck after getting a deeper depth and it sealed things up well. I'd love to catch rainbows off my front deck! Or you could build a couple of these corner units like I did. The challenge was to build each one using only one sheet of plywood and some scraps glued together for the top. I have very little room on either side of the bed, so corner units were the way to go. so that's yours...it's sweet! is that stud wall or is it a kit? i love the porch. if i had it all to do over i would have covered the porch. but as it is i was running short on time and money. is that stud wall or is it a kit? The walls are true dimension 2x6 and heavily insulated. Add to that the interior/exterior sheathing and the siding, and the the wall thinkness is well over 7 inches. The porch was something I added to the original design. I'm happy with it, but would love for it to have been a bit wider. At any rate, it's a great place to watch passing thunderstorms! 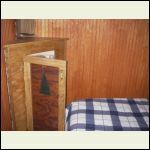 Hi Vince....great photos of a great cabin. Makes me green with envy, as my wife and I are just now looking about for a wooded property in the hopes of doing our own build of a permanent dwelling like your the one you built. 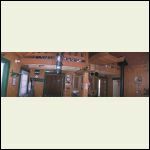 In fact, we love the bridged loft plan you posted so much that we think it would suit our needs perfectly. Thanks for the inspiration. 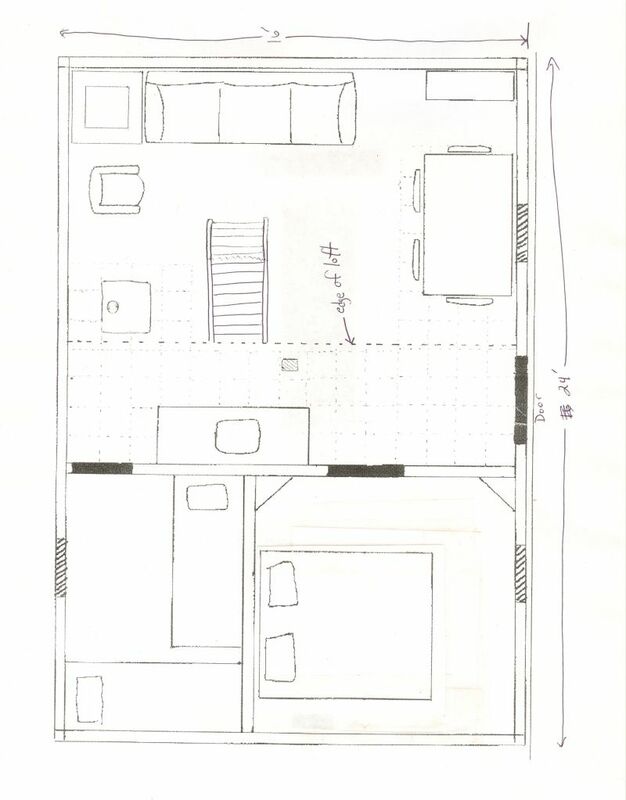 I'm curious if you have your own building blueprints for your cabin or if you obtained them online somewhere or from a contractor/designer.